Croatian footballer Filip Dangubic, who is in our club on a loan until the end of the season, scored his second league goal for our team in Trenčín on Saturday. He told us more about his career so far in an interview. "Yeah, I scored 13 goals acctually that season (laugh). It was very difficult, we fought until the end but finally succeeded to stay in first league without qualification and I think we are capable of doing the same here," mentions the 2016/17 season Filip Dangubic. 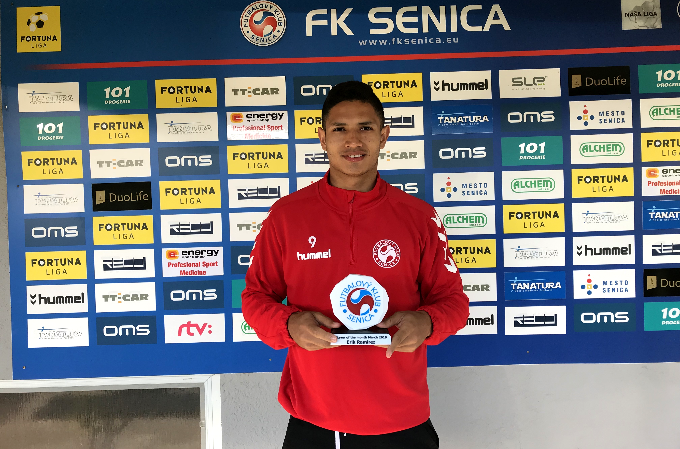 As a first-league player of NK Krsko, he scored thirteen goals in the Slovenian league, making a significant contribution to saving his team in the highest competition. His team then gained a one point more than the penultimate team of the competition, NK Krsko managed to stay in the first league. On Saturday he scored a beautiful goal at Myjava against Trencin, which proved to be the winner with the following course of the match. Did the 23-year-old Croatian footballer still have similar goals in his backup that we need to rescue in the league? "I honestly hope so because for us every goal is welcome so the more the merier. To be honest in Slovenia I scored some pretty nice goals similiar like this one because I like to shoot a lot from a distance so I hope you will see at least one more from me like this until the end of the season," reveals player with number 11. Croatian offensive footballer started with football in HNK Rijeka. However, he did not finish in the A-team, he spent the last three seasons in Slovenia, where he played for NK Krka, NK Krsko and NK Celje. "My first season in Slovenia was very difficult because it was also my first season in first league of proffessional football so there was a time of adaptation. But after it I started playing much better, scorer many goals and really grow as a player," reveals a native of Rijeka who also wore a national jersey in the category under 21: "For under 21 I played 4 matches acctually, ome in the European qualifications agaimst San Marino. But this friendly match against Russia when I scored a goal was my favorite. In Croatia national team we had a lot of big names, Kovačić, Pašalić, Pjaca, so it was very difficult to come in the team." He started his mission in Slovakia in Spartak Trnava. At the team of the current Fortuna League champion, he did not played much, partly due to injury. So he changed his jersey after half a year, and our club became the number one choice. "I am really enjoying my time here in the club. The conditions are good, the staff and the team accepted me very well. And the decision for loan here come from my relations with two Croatian players and mine close friends, Klapan and Tešija who told me many things about the club," explained Filip Dangubic. From Trnava to Senica is not too far, he travels by car every day with the above mentioned Tešija-Klapan. If we add Stjepan Vukovič to this, there are up to four Croatians in our dressing room. "Yes we spend a lot of time together. This whole season I can hardly remember a day we didn´t see each other. Marko I´ve met this summer but Klapi is my best friend since we started playing football together at the age of 14," told Filip Dangubic. He showed his football skills also in Spartaka Trnava. 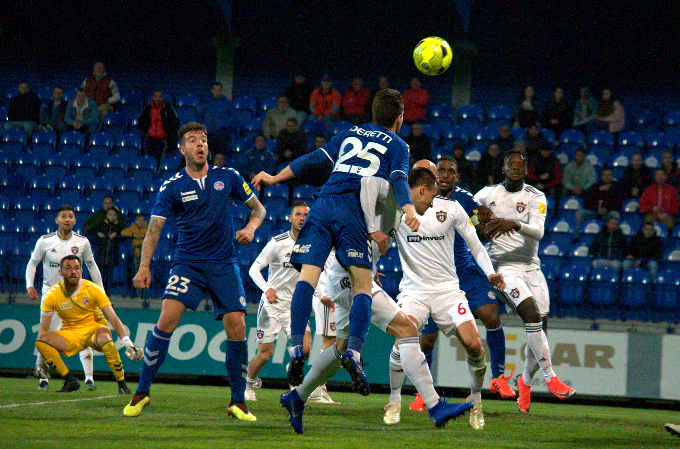 In the fifth round of the Slovnaft Cup he scored hattrick against second-league team Bardejov, and he added assist and a comfortable win (5:0) was in the world. He will now want to stop his club as a Senice player in the semi-finals. Football is like that. After losing on our opponent´s court, we have a home retaliation. 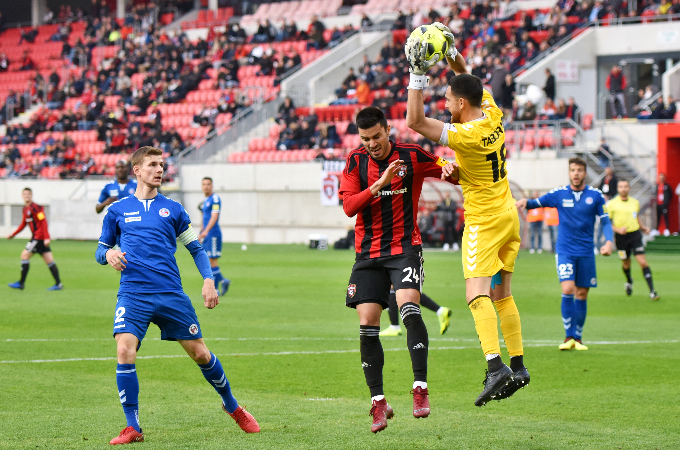 "Yeah, I have a huge respect for Spartak Trnava beacuse at the end of the day I am still under contract there and many of these players are my firends but in this match, on the pitch, I am a player of FK Senica and my only goal is to qualify to the final in these 90 minutes," says a 23-year-old footballer. While in the cup we have advanced to the top four in the current season, we are fighting for our existence at Fortuna League. Success in a Cup or Rescue in the Fortuna League? What would Philip Dangubic take? : "Uh, difficult one. But I prefer the league than, because semi-final of the cup is already huge achievemnt but to go down to second division will be huge dissappointment for club and people around it." At the recent World Championships in Russia, Croatia made it to the final for the first time in their history, where they later lose to national team of France. "It was the biggest moment of Croatian football. The people went crazy about it, this few weeks during the championship everybody lived like one and the end, on the reception of the players in Zagreb there was more than half a milion people in the streets waiting for them," returning to his country´s football success Filip Dangubic, who also adds: "Personally I like Kramaric the most. He is our best striker now and has scored already many goals even though he is still not old. I know few of these younger players with whom I played. Jedvaj, Pašalić, Vlašić." Croatian football player spends his free time alongside his family and friends. "I enjoy spending time with my friends, girifriend and family. But I also like tennis a lot and hadn´t skip a single tournament in last few years," concluded Filip Dangubic.